Only just launched for a day, and there are concerns over the durability of the black iPhone 5 back aluminium cover. 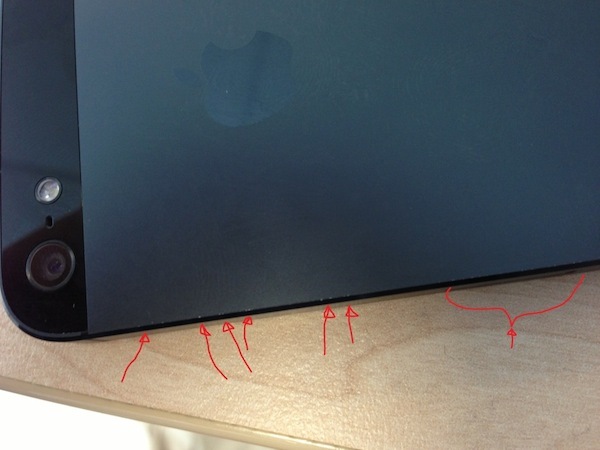 The white version appears to be more scratch-resistant. Regardless, it looks like a case should be a top priority to protect your new apple iPhone 5 investment. Too bad you wouldn’t be able to show off the svelte looking iPhone 5 two-tone aluminium body, or put yourself at risk of getting it scratched. 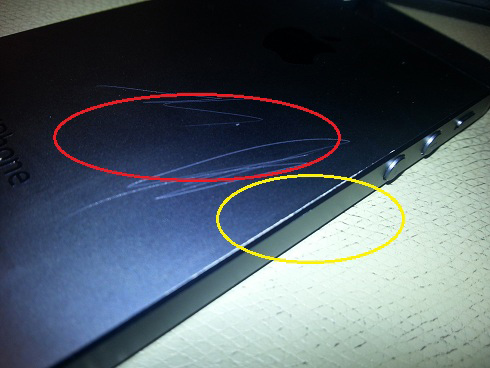 The sides of the iPhone 5 is also reportedly prone to minor scuffs and dents too. So it would be wise to invest in something that protects the entire iPhone. This is reminiscent of the iPhone 4 Antenna gate issue where users complained about the signal loss when they touched the sides of the case. Back then, Apple acknowledged that the signal strength was dampened by touching the sides and a case bumper prevented skin contact with the metal band. Apple provided a free bumper for all iPhone 4 users to resolve the issue. It would be interesting to see how Apple responds to these new complains. If you are the type that hates to cover up your beautiful phone, think twice!